We talk about the continual evolution of avian flu - particularly via reassortment - often, because it can cause the most dramatic changes in a virus in the the shortest amount of time. Essentially, any time a single host is co-infected with two different influenza viruses, there is the potential for those viruses to swap gene segments, and produce a new hybrid. Successful reassortments are fairly rare, as most gene swaps offer no evolutionary advantage, and to survive and thrive, a reassorted virus must be at least as biological `fit' as its parental viruses. But when millions of birds are infected, even if only a very small percentage are in a position to produce a ressorted virus, there are ample opportunities to see a new strain (or even new sub-type) emerge. This week the EID Journal has published a Dispatch that reports on the evolutionary changes that have been detected in the recently arrived H5N8 virus sampled in Germany. Changes that suggest several reassortment events have occurred since the virus last visited Europe, and North America, and that may increase its ability to infect and spread via migratory birds. Its a detailed report and you'll want to follow the link to read it in its entirety. I'll have a bit more when you return. In November 2016, an influenza A(H5N8) outbreak caused deaths of wild birds and domestic poultry in Germany. Clade 2.3.4.4 virus was closely related to viruses at the Russia–Mongolia border in 2016 but had new polymerase acidic and nucleoprotein segments. These new strains may be more efficiently transmitted to and shed by birds. During 2014–2015, after massive outbreaks of highly pathogenic avian influenza (HPAI) on the Korean Peninsula, subtype H5N8 viruses (group A clade 2.3.4.4) caused outbreaks among wild birds and domestic poultry in central Asia, Russia, and central Europe (1,2). Strains of this clade, and novel reassortants thereof, were transferred to North America (3). Transcontinental spread of these strains and an earlier HPAI virus (HPAIV) of the goose/Guangdong lineage of subtype H5N1 has been linked to dissemination by migratory wild birds (4). We describe novel reassortant of HPAIV A(H5N8) within group B clade 2.3.4.4, which caused lethal infections in hundreds of wild birds and domestic poultry in Germany and elsewhere in Europe. A new reassortant influenza A(H5N8) virus is responsible for the recent HPAIV outbreak in Germany. The observed differences in pathogenicity for a broad spectrum of waterfowl compared with that of H5N8 viruses from 2014–2015 correlate with a new genome composition of these viruses. 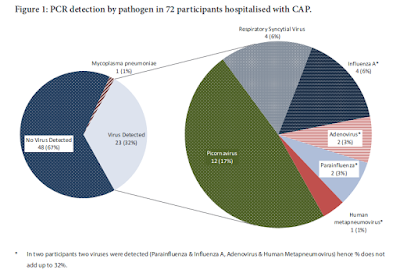 The novel NP and PA segments in the 2016 H5N8 viruses from Germany are candidates for future studies of the molecular basis of the biological differences. These new strains may be more efficiently transmitted by and shed to other wild and domestic birds, a hypothesis in line with the large number of cases among wild birds in November 2016. There is yet no indication that mammals (including humans) are infected by these novel strains. Future studies in mammalian models (e.g., ferrets, mice) will provide experimental data on the virulence for mammals. Dr. Pohlmann is a microbiologist and senior scientist working at the Institute of Diagnostic Virology, Friedrich-Loeffler-Institut, Insel Riems, Germany. Her research interests are focused on influenza viruses, sequence analysis, phylogeny, and next-generation sequencing. We gratefully acknowledge professional support from local veterinarians, diagnosticians in regional laboratories in Neumünster (Schleswig-Holstein), Rostock (Mecklenburg-Western Pomerania), Aulendorf and Freiburg (Baden-Wuerttemberg), and technical assistance by Diana Wessler, Aline Maksimov, Nicole Reimer, Kathrin Steffen, Patrick Zitzow, Bianka Hillmann, Jörn Gethmann, the Tierseuchennachrichtensystem (national animal disease notification system) team, and Cornelia Illing. Not quite two months ago, in EID Journal: HPAI A(H5Nx) Viruses With Altered H5 Receptor-Binding Specificity, we looked at another study that suggested the recent evolutionary changes to clade 2.3.4.4. H5 viruses may have increased its host range, and thereby its ability to spread. Similarly, in Cell Host Microbe: Genesis, Evolution and Prevalence of HPAI H5N6 In China - another clade 2.3.4.4. H5 virus - we're seeing dozens of genotypes evolving in Asia. All of which is a reminder that we aren't dealing with just one H5N8 virus, or one H5N6 virus, but literally dozens of iterations, all embarked on their own evolutionary paths. The HPAI H5 virus that turns up in Germany this fall may differ considerably from the HPAI H5 virus that lands in West Africa over the winter, or the virus returns to their Siberian roosting areas this summer. With viruses - and most particularly with influenza viruses - the only real constant is change.